For any sailor, except those with extraordinarily deep pockets, cruising means making difficult tradeoffs. We end up having to ask ourselves questions like, “New running rigging this year, or an updated chart plotter?” Preparing for our journey abroad, Jessie and I have often had to ask these questions of ourselves. A generator or a windvane? Is there room in our contingency budget to stretch for both? Unfortunately, not exactly – just a generator for us! One thing we planned for was new sails. 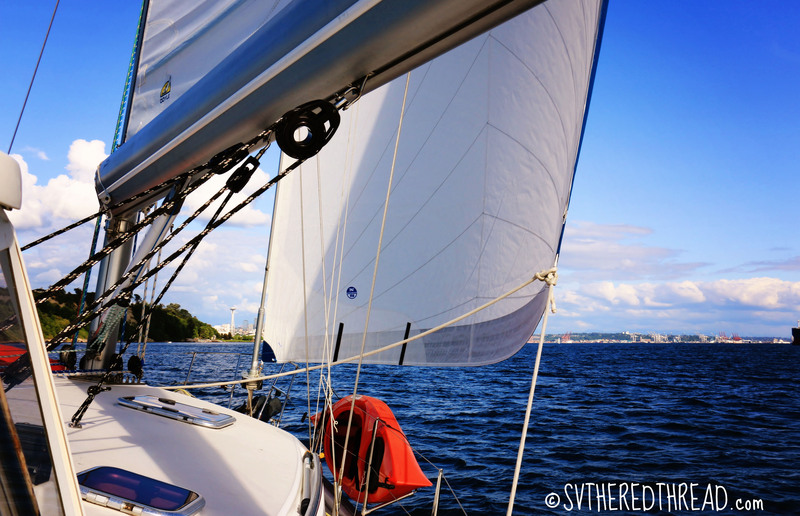 Two weeks into owning The Red Thread, we shredded our 110% jib – a sail that had already seen more than 20,000 nautical miles. We knew we’d need to replace it eventually, but there is no way to adequately explain the heart-sinking feeling of watching the leech of your sail catch on a spreader and create a 20-foot vertical tear…especially the first time you take your mom out for an evening cruise (it doesn’t inspire a whole lot of confidence). Fortunately, we had a spare genoa, so we weren’t completely deadlocked. As a part of our purchase agreement, the prior owners replaced the Doyle mainsail. Fortunately, after more than 44,000 miles, the original main had some life left, so we’ve been sailing her for the past two years. The 135% genoa was more than we wanted as our working sail, so we contacted local sail lofts to get quotes for a replacement. 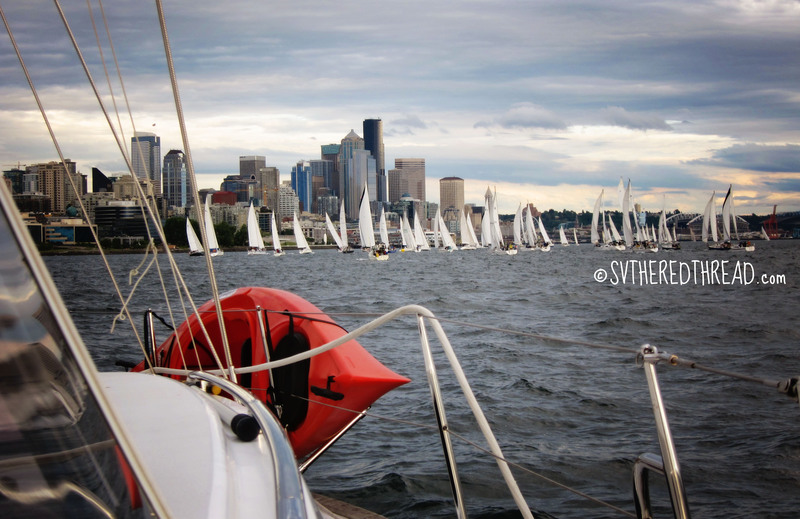 We spoke with Quantum, North Sails, and Ullman, all whom have reputable lofts here in Seattle. After mulling it over and speaking with some members of our marina community, we eventually made a “gut check” on which loft representative made us feel most comfortable and decided to go with North Sails. Angus was a real pleasure to work with – he really wanted to understand what our sailing plans are, what our concerns are, and to make sure we bought the right sail for our journey. He made suggestions and was incredibly patient as we asked a plethora of questions. Ultimately, we couldn’t be happier! Because we don’t have the budget for, nor do we think we need, a large sail inventory, we needed a jib that could easily be reefed in heavy weather conditions and would be very durable. Our new North Sails jib is a 125% Radian cut, 9 oz. Dacron sail. We sprung for a few options, including a blue sunbrella leech and foot cover for UV protection when she’s furled up, rope inserts along the luff for additional stability when we reef in heavy weather, and spreader patches to avoid the aforementioned gut-wrenching experience in the future. After installing both sails, the only thing left to do was take The Red Thread out with her pretty new wings and see how she flew. Memorial Day weekend offered the perfect opportunity, and Jessie and I took her north about 35 miles to the beautiful little bay of Port Ludlow. The weekend was tremendous, as we got to catch up with some other cruisers who are also leaving the greater Seattle area this summer. On the way home, Jessie and I happened to catch a wonderful northerly wind and a following tide all the way back to Seattle. 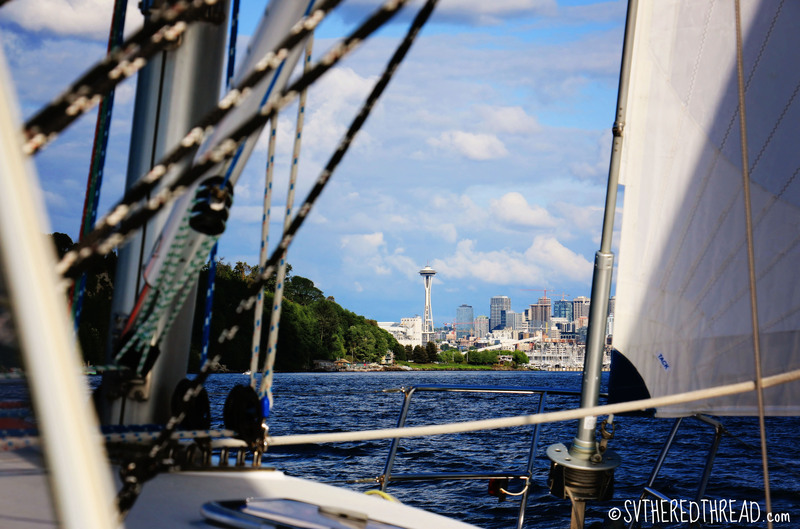 It was 30 nautical miles of sailing downwind through Admiralty Inlet. It was easily one of the loveliest sails we have ever had. We crisscrossed the Inlet, jibing when necessary, both of our beautiful new sails flying crisply in an 11- to 16-knot breeze. 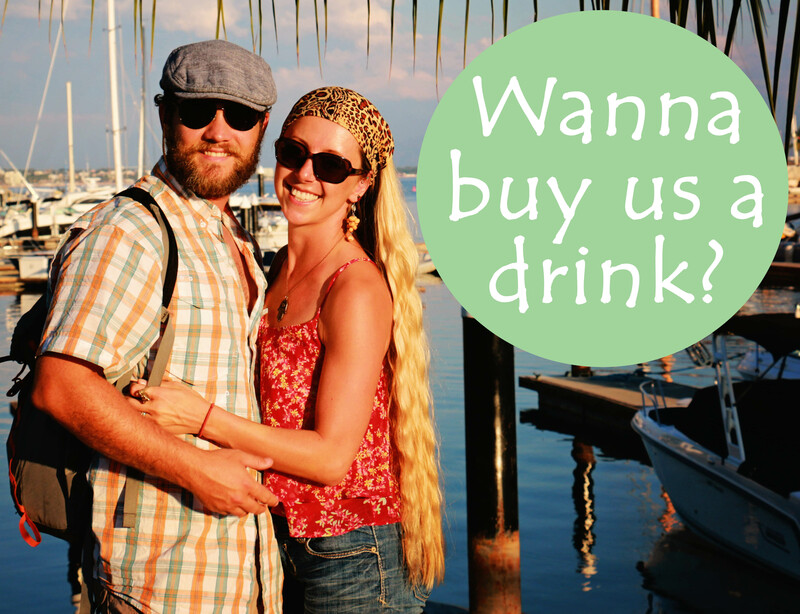 Now, a few weeks later, the Downtown Sailing Series has started up, and it is an experience Jessie and I rarely miss. We’ve participated in two “races” so far this season and have had two of our fastest times! While a big part of that is our increasing experience level and familiarity with The Red Thread, the new sails play a huge role, especially sailing close-hauled between marks. The new sails allow us to sail tighter into the wind than before, which has allowed us to edge out of some uncomfortable positions with other boats during the races. 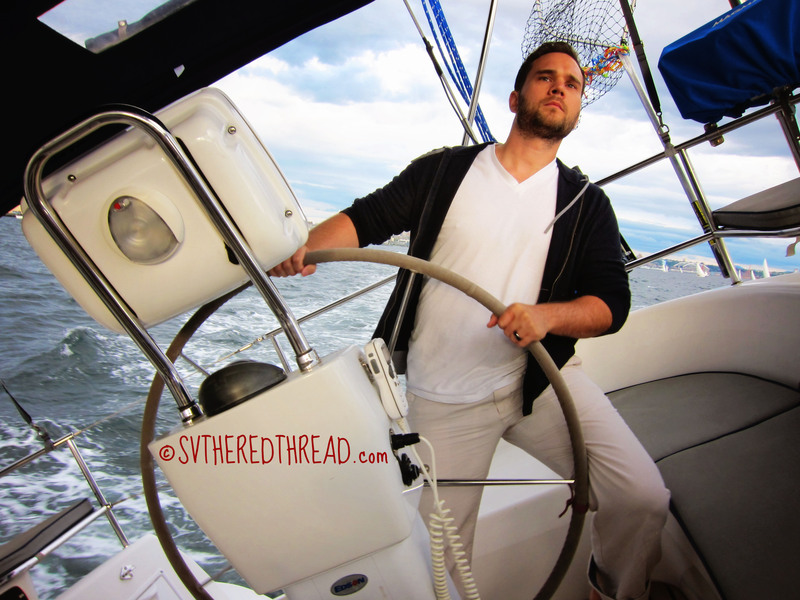 Safe to say, I’m feeling very confident in how The Red Thread preforms and am looking forward to getting her out on more long cruises locally, and, of course, on what is to be an epic voyage south. This entry was posted in Boat Projects & Maintenance, By Neil, Pacific Northwest, Sailing and tagged Crisp new sails, Downtown Sailing Series, Seattle WA. Bookmark the permalink. The Fair Prospect is offering the Red Thread permanent loan of a six person offshore life raft. Only a few years old but is past it’s service interval. You may not need or have room, but it yearns for more adventure and feels under utilized in the Salish Sea. When you have a chance come aboard (c34) and up to the fly bridge and check her out. It’s a free loaner – you service and return unopened when the Red Thread returns home in a few years.